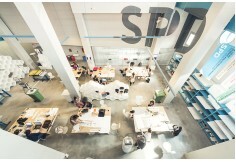 En breve un responsable de SPD - Scuola Politecnica di Design, se pondrá en contacto contigo para informarte. One Year Course in Product Design. Degree level: One Year's Degree. 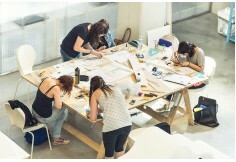 The OneYear Course is aimed at providing basic training for product and interior designers. This aim is achieved through a well balanced teaching programme that solidifies the necessary methodological tools for approaching a project. Topics covered in the course are included in the study plan so as to consolidate historical and cultural backgrounds and provide a conceptual framework to refer to. This includes portrayal techniques, theory and the physiology of perceived phenomena. General training, on the other hand, aims to provide the mastery of technical and technological instruments, the understanding of operative supports, and the vocabulary of product design and product systems design. Lessons are directly relevant to the requirements and skills needed for the Master’s year, which is the ideal continuation of this course. One Year's Degree from SPD. 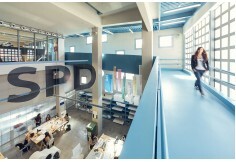 This area deals with product design intended both as an exchange with users and manufacturers and as a creative process. Through a blend of conceptual exercises and complete project based activities, participants will carry out stimulating experiences on the basis of a practical and experimental approach. Training encompasses all the main contents of the course and puts to the test the ideation strategies thus acquired, morphological and aesthetic considerations combined with usability principles, the analysis of perceptive values such as colours or finishings, the study of materials and technologies. Communication techniques are also covered through class critique sessions. The course offers practical training to gain a solid understanding of the design process and acquire the skills that are necessary to take conscious steps in a multifaceted profession. Developing interiors implies dealing with both emotional aspects – atmosphere, look and feel etc – and technical issues such as the analysis of the circulation paths or the definition of the lighting plan in order to carefully craft the users’ experience. Interior designers are able to undertake complex projects including space planning and zoning, furniture design, colours, material, finishings, technical representation and communication. Projects carried out by participants are focussed on a variety of themes that range from domestic environments to retail spaces and wider settings. The course provides a comprehensive overview of the evolution of product and interior design both from a theoretical perspective and through a historical overview. The fundamental stages of modernity are addressed highlighting their distinctive character. A general overview of the main themes is accompanied by monographic lectures on authors, historical movements, Italian and international contemporary trends. A critical attitude will be promoted in order to achieve a better understanding of the aesthetic and functional issues that derive from the debate on modern architecture and rationalism in particular and have a reference to the general notion of industrial product adopted around 1850. A designer is required to come up with the most suitable form for a product to fulfil a particular function. 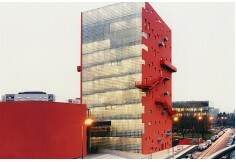 A form is achieved by selecting a material or a combination of materials using appropriate and sustainable technologies. The program offers a complete view of materials sorted by main categories. The goal is, as far as materials are concerned, to understand their particular characteristics, the technologies that suit the requirements of the project and details that are relevant to their production and life cycle. 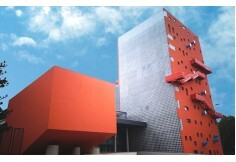 The programme investigates the use of selected softwares applied to design and visual representation. The Course focuses on 2D and 3D applications, from basic commands to advanced drawing and modelling tools to give shape to objects, projects and ideas. In order to approach the software correctly, theoretical explanations are followed by demonstrations and exercises for a practical application of commands. Technical drawing and descriptive geometry are essential disciplines providing tools, abilities, processes and methodology for the solution of every design problem. The course leads participants through the advanced representation of three-dimensional space and forms, fostering their analytical and abstract thinking skills. The programme takes into consideration the principles of descriptive geometry, both in two and three dimensions workspace. The grammar and the rules for a correct drawing are presented according to an integrated approach enabling representation of the objects in a given space. Free hand drawing is the first technique to represent ideas. The aim here is enabling students to finalize thier creativity in order to communicate in a clear and fast way with all the professionals involved in the design process. Particular attention will be devoted to the analysis and application of the fundamental rules for free hand drawing: perspective, proportions, colouring techniques. The course teaches the basic techniques to draw free hand, introducing particularly useful details in order to help communicate a project. The course also provides a learning experience into geometric design, the language through which an idea, a design is described in its real dimensions. This area is devised in order to transfer a broader awareness of colour as an essential component of a designer’s grammar. Tuition is arranged in two different parts. Firstly, a series of theoretical lectures introduces the basics of colour theory taking into consideration the three modes of its appearance: volume, surface, film. 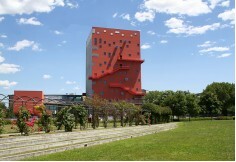 The acquired notions are applied to the construction of two and three-dimensional models using forms, objects and their connections. The second part is organized as a personal researchwork on a given topic related to colour design issues and to the personal experience and sensitivity of the student. The course aims at teaching students a variety of methods and applications to perform appropriate communicative processes by getting themselves familiar with the creative workflow of graphic artifacts. The essential skills to fully use the visual grammar along with professional technologies such as the Adobe softwares are presented to enable students to effectively present their designs. 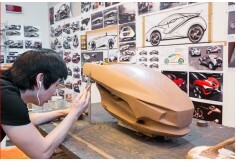 From the beginning, the school has been educating designers who go on to achieve outstanding accomplishments in a vaste range of diverse disciplines, from graphic design to art, from interior to product design not forgetting the car design field. 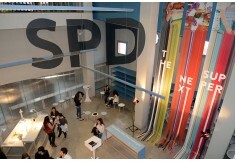 SPD students make a mark on the professional world in their own way. This highly international and cross-generational network of professionals is an invaluable asset for the school.